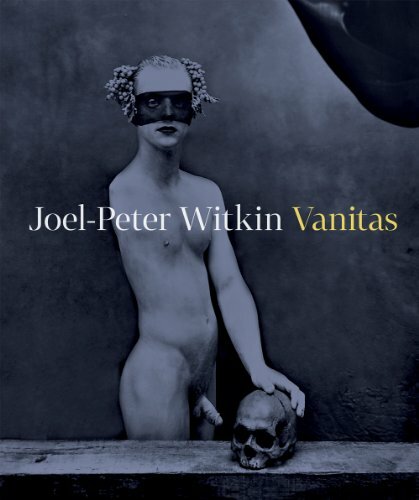 Joel-Peter Witkin: Vanitas offers a concise survey of one of the most controversial photographers alive. Since the late 1970s, Witkin’s black-and-white portraits and still-lifes of hermaphrodites, body parts, severed heads, mutilations and similar themes have inevitably provided shock fodder to the religious right, while seeming to evoke an easy relationship to ideas of decadence and morbidity. For Witkin, the goal is simple: “I wanted my photographs to be as powerful as the last thing a person sees or remembers before death.” Witkin’s photographs offer up examples of life’s extremities as unblinking confrontations with mortality, whose power derives not merely from their content but from the keen compositional instincts governing that content. Witkin’s gift for still life and his use of religious motifs such as crucifixion and sainthood have been nourished by his appreciation of the likes of Francisco Goya, Odilon Redon and Hieronymus Bosch, whose examples he has translated for the concerns of the present. Witkin’s photographs have made a colossal impact upon contemporary culture, influencing artists such as the Chapman Brothers and Erwin Olaf, musicians such as Diamanda Gala´s and Trent Reznor, and the late fashion designer Alexander McQueen, among many others. Vanitas provides a cross-section of the artist’s work from the 1970s to the present. In addition to photographs, it includes many lesser-known drawings and paintings, as well as Witkin’s most recent, previously unpublished photographs. a bilingual (English/Czech) text by the art historian Otto M. Urban summarizes the development of Witkin’s life and work.